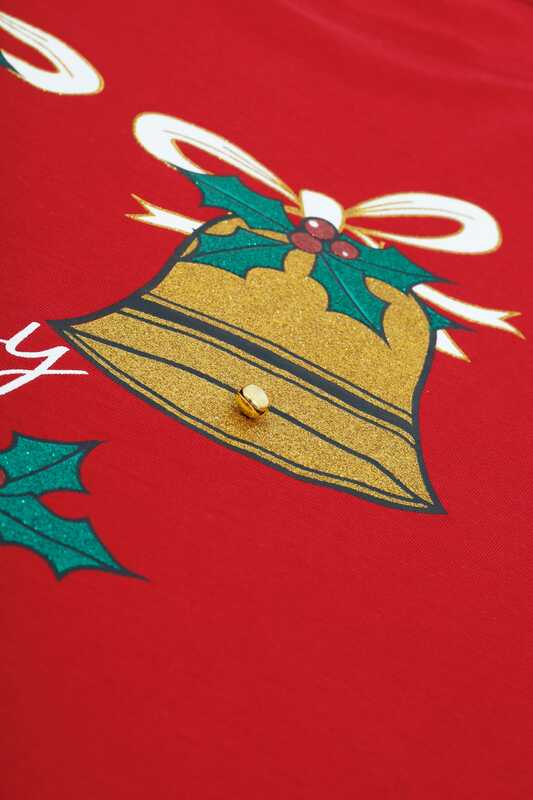 Update your festive wardrobe with this novelty top. 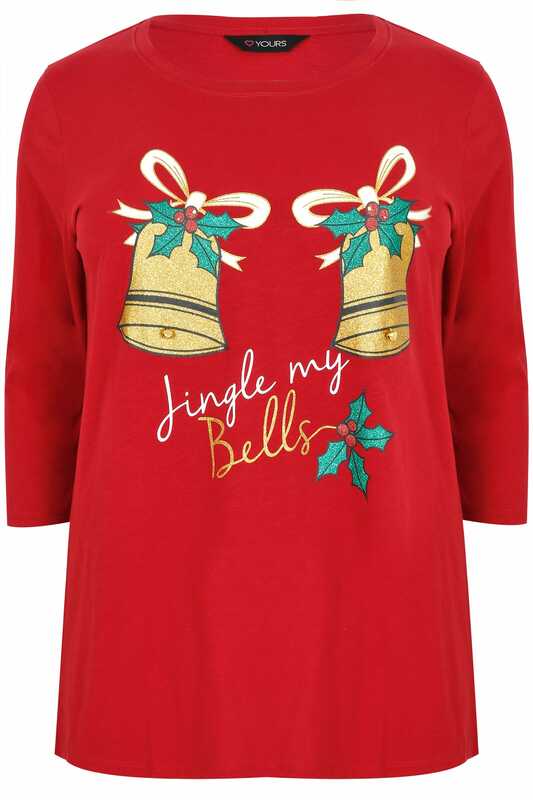 Showcasing a cheeky slogan print, it features functional ringing bells, 3/4 length sleeves and a scooped neckline. 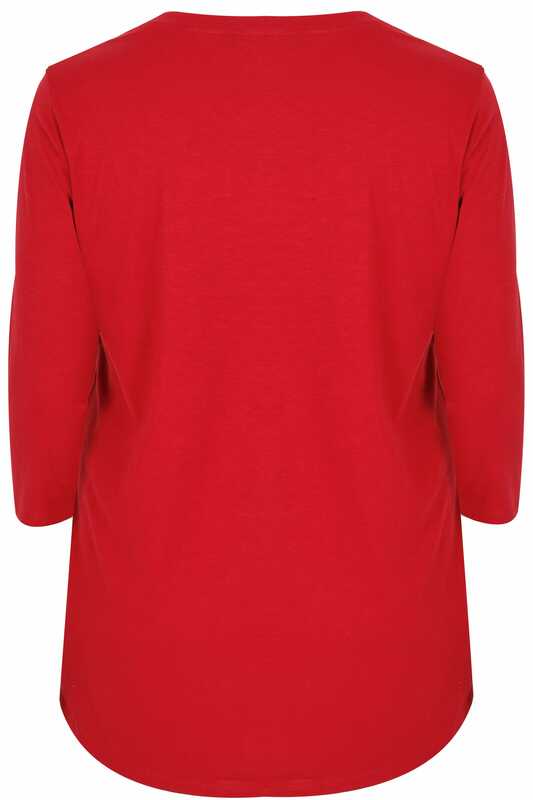 We are loving the Christmassy feel, perfect for the festive season.